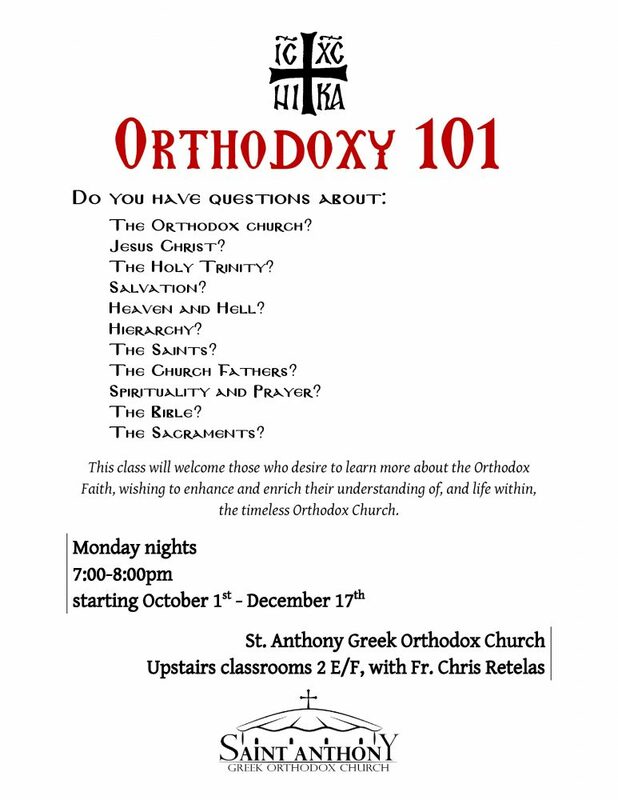 This class will welcome those who desire to learn more about the Orthodox Faith, as well as those who already embrace the Faith, wishing to enhance and enrich their understanding of, and life within, the timeless Orthodox Church. What is the Orthodox Church? How do we understand the person of Jesus Christ? The Holy Trinity? What is Salvation? Heaven and Hell? The Saints? The Church Fathers? The Bible? The Sacraments? Spirituality and Prayer? ALL ARE WELCOME TO ATTEND! INVITE A FRIEND!